According to the German Night of the Proms fan website, Jonas Isacsson won’t be part of the Night of the Proms this year. 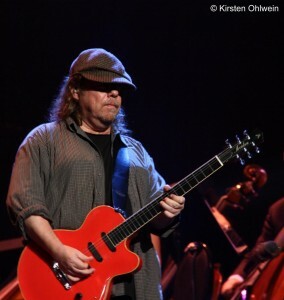 He played with NOTP in Charleroi last weekend. Checked out what he did with Kim Wilde, sounded good. Additionally, NOTP organizers revealed the first artist for this year’s tour two days ago: Boy George. 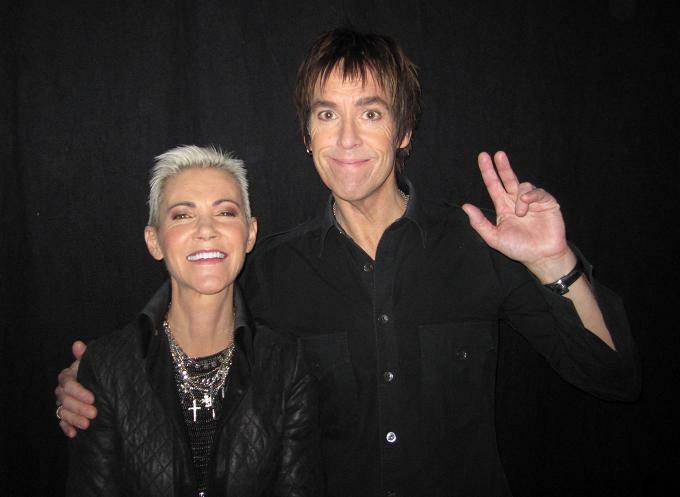 Very interesting collection of photos taken during 2009 as well as these from the past mixed with the lastest interview with Roxette on American internet radio-station Sirius XM. Worth watching and listening! If you would like to download the interview and songs, please read comment section here. Attention! It’s almost the same “Joyride” clip as the one which was broadcasted on Avro TV. The only difference is that Avro TV showed Antwerp stage + Rotterdam audience and EEN – Antwerp stage and Antwerp audience. The same happened with “The Look“. Thanks to Project_Z for the clip. We got this press release today. You can also read about this on Roxette’s official website and The Daily Roxette. During this special edition of Nordic Rox, SIRIUS XM listeners will also hear an in-depth interview with Per Gessle and Marie Fredriksson, the founding members of Roxette. The duo will share stories about the tour and discuss their upcoming project and new material. WHEN: The special episode of Nordic Rox with Roxette will air on Sunday, January 10 at 8:00 pm ET, and will be rebroadcast on Wednesday, January 13 at 11:00 pm ET. MORE: Each week, The Spectrum’s Nordic Rox turns the spotlight on the quality and depth of Scandinavian music, expanding upon the success of both established and up-and-coming artists. The specialty program has become the destination of music fans in the U.S. to hear exciting new music emanating from Scandinavia. Great thanks to Project_Z for sharing these two clips. Only Bayern 3 was able to bring us a “new” recording with “Wish I could fly” and “Joyride” from Munich. On some special they even played “It must have been love” AND interviewed Christoffer Lundquist and Clarence Öfwerman and played “The Look” from Munich, too. Unfortunately, the only thing that annoyed me on this show was the host who talked about Marie as a woman with silver hair. He reacted to emails very quick and admitted that he used some stuff from the CD and recordings from Antwerp/Rotterdam as well. But in the end – this was the best radio special about NOTP in Germany so far. The next to come was the special on WDR2. They even splitted the NOTP broadcast in two parts on two nights, so I thought we were supposed to get some new stuff. In the end, they played “The Look” and “Listen to your heart” from of the official NOTP CD and “Joyride”, which most probably came from Rotterdam or Munich and was nothing new to us. The host said that Marie looks “static” on stage and that she hasn’t fully recovered yet – well, there is nothing MORE to recover for her. She will stay like that – I think. Of course, we all would be happy if it wasn’t, who knows. In fact the host thought she isn’t in the best of health and said it. In the end – no new recordings here, too. SWR1 played “Wish I could fly” – which would have been nice to know, because they didn’t play it in the official NOTP hours but BEFORE the show started. Well, in the end there is nothing to be angry about because they also didn’t offer anything new but played the already known version from Munich. When the show started I was happy because they played live stuff which wasn’t on the CD, but now I think it also was the Munich stuff. Looking forward to Roxette the next disapppointment came immediately. Again: No new version of “The Look” and “It must have been love”, but another time from the CD. Compared to what the Belgium and Dutch channels offered so far this is just really disappointing. But in the end the Belgian/Dutch shows were better as well. So it fits.. Looking to the future… the far away future… well, there will be a TV show about this year’s Proms on Deluxe Music around EASTER. A bit late, eller hur? Very merry Christmas from RoxetteBlog.com staff. As we have previously informed there will be some radio and TV broadcasts in the Netherlands, Belgium and Germany in the next few days and week. For instance, don’t forget to watch the Dutch TV Nederalnd 2 tonight. Some Roxette recordings might pop up there. If there is a possibility, share with us your opinions & video files.